recordheaven2 has no other items for sale. 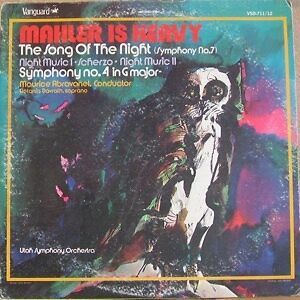 ARTISTS/ALBUM: MAHLER IS HEAVY SONG OF THE NIGHT SYMPHONY NO 4. RECORD CONDITION: VG (DOUBLE LP). We gladly accept paypal. If you have any questions call us at 406-542-1104.